Τherapeutic Gymnastics | APOKATASTASI S.A.
Our mission in the Therapeutic Gymnastics section is to set up comprehensive exercise programs for patients in closed and daily hospitalization. We aim to improve both their functionality and their physical condition in order to achieve the best possible recovery in the shortest possible time. In Rehabilitation Center we treat each patient differently! 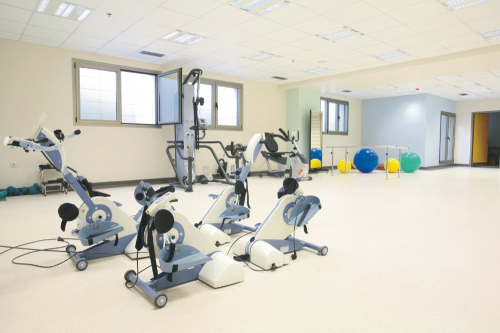 Our specialized staff develops, implements and monitors original exercise programs based on principles of special (adapted) physical education that meet each patient's particular needs - individually or in small groups of 3-4 people. Initial assessment - evaluation of the level of the patient's motor and other abilities. Determination of desired goals, in order to be realistic and keep pace with the patient's assessed skill level. Determination of exercise adjustments on an individualized basis, according to the particular capabilities of each patient. Final evaluation of the program objectives' implementation together with therapies' completion. 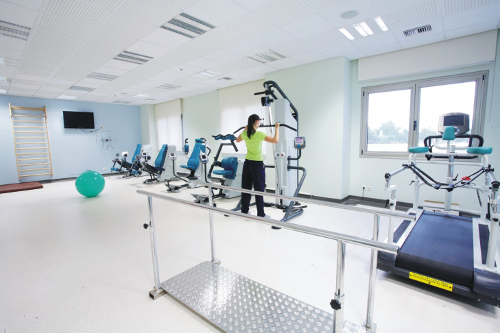 Gym with modern aerodynamic machines, with a wide choice of positions and a variety of exercises, with automatic and manual therapy systems controlled by appropriate software. 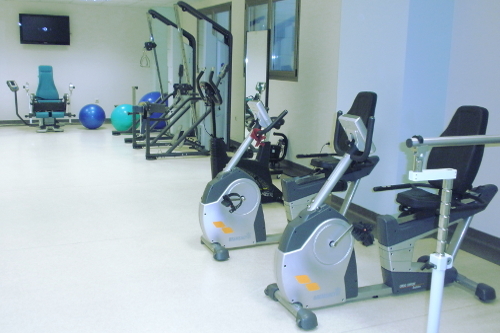 Ergometric static bikes (active and passive). Various exercise aids such as dumbbells, free weights, rubber balls, fitness balls, mosquito nets, therapad etc. Leisure and sports hall (table tennis, basketball, boccia, board games, etc).